Ubuntu is the African idea of personhood: persons depend on other persons in order to be. This is summarised in the expression: umuntu ngumuntu ngabantu, that is, a person is a person through persons. 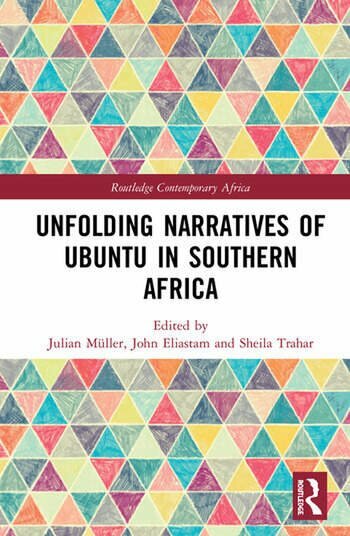 This edited collection illustrates the power of fictionalised representation in reporting research conducted on Ubuntu in Southern Africa. The chapters insert the concept of Ubuntu within the broad intellectual debate of self and community, to demonstrate its intellectual and philosophical value and theoretical grounding in known practices emanating from the African continent, and indeed how it works to unsettle some of our received notions of the self. 2. Ubuntuville, the view from the cemetery. 4. The quilting group: stitches from the soul. 8. The art of survival: women and violence in Ubuntuville. 9. Politics and conflict in Ubuntuville. Julian Müller, University of Pretoria, South Africa. John Eliastam, University of Pretoria, South Africa. Sheila Trahar, University of Bristol, UK.